WASHINGTON, D.C. — In another major victory for global health and defeat for the tobacco industry, the United Kingdom's High Court today upheld the UK's new law requiring that tobacco products be sold in plain packaging. The ruling comes a day before the UK and France are set to implement their plain packaging laws on May 20, as they join Australia in adopting this groundbreaking strategy to accelerate progress in reducing tobacco use and save lives. This legal victory against Imperial Brands, British American Tobacco, Japan Tobacco International and Philip Morris International is a tremendous victory for public health and represents a critical step in the growing movement for countries to include plain packaging as part of their comprehensive approach to reducing tobacco use. Standardized or 'plain' packaging of tobacco products requires that packaging have a uniform plain color, shape and size without colorful branding or other promotional elements that attract kids or mislead consumers about the harms of tobacco. The tobacco industry fiercely opposes plain packaging because they know it works. In Australia, public understanding of the dangers of tobacco use rose and smoking rates have fallen at the fastest pace in more than two decades following the 2012 implementation of plain packaging and other tobacco control measures. Australia's plain packaging law has been upheld against tobacco industry challenges by the country's courts and Philip Morris International's challenge to the law was dismissed by an international investment tribunal. Since then, the tobacco industry has launched other legal challenges worldwide to block this strategy, including a challenge to new tobacco regulations in the European Union (called the Tobacco Products Directive) – which the tobacco companies lost earlier this month – and the UK case decided today. These legal victories set precedents and an international norm that should protect other nations against future tobacco industry attempts to block plain packaging that are sure to come. Japan Tobacco International recently launched a legal challenge against France's plain packaging law, and the World Trade Organization is due to issue a decision soon in a trade-related challenge to Australia's plain packaging law. Plain packaging laws should continue to be upheld as they do not violate any intellectual property rights of the tobacco companies; they do save lives. This Friday, May 20, the UK and France will officially implement plain packaging, although the countries will allow grace periods for tobacco companies to sell current stocks. 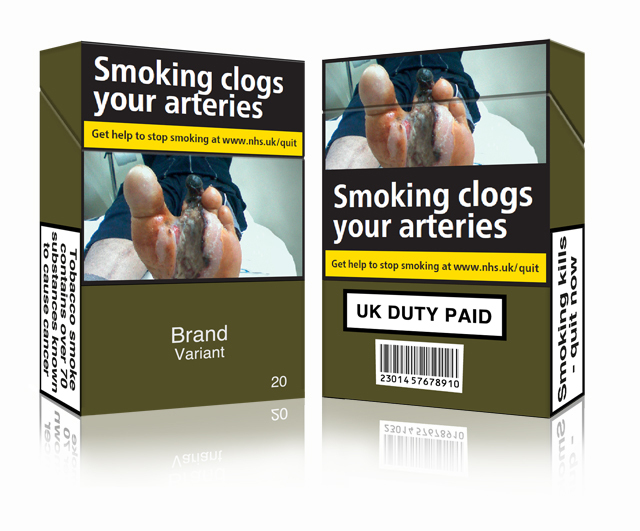 Ireland has also enacted a plain packaging law and is finalizing implementing regulations. We applaud these governments for standing strong against industry opposition and putting the health of their people first. These countries are providing much-needed leadership in combatting a global epidemic that will otherwise kill one billion people this century and setting a strong example for other countries to follow.